As a global steel-based technology and capital goods group, voestalpine was looking for a way to talk more about the company, its stories, employees, products, and projects, as well as to position these messages outside traditional communication channels. voestalpine began its first social media activities at the beginning of 2009, consistently following its Online & Social Media Strategy since that date. 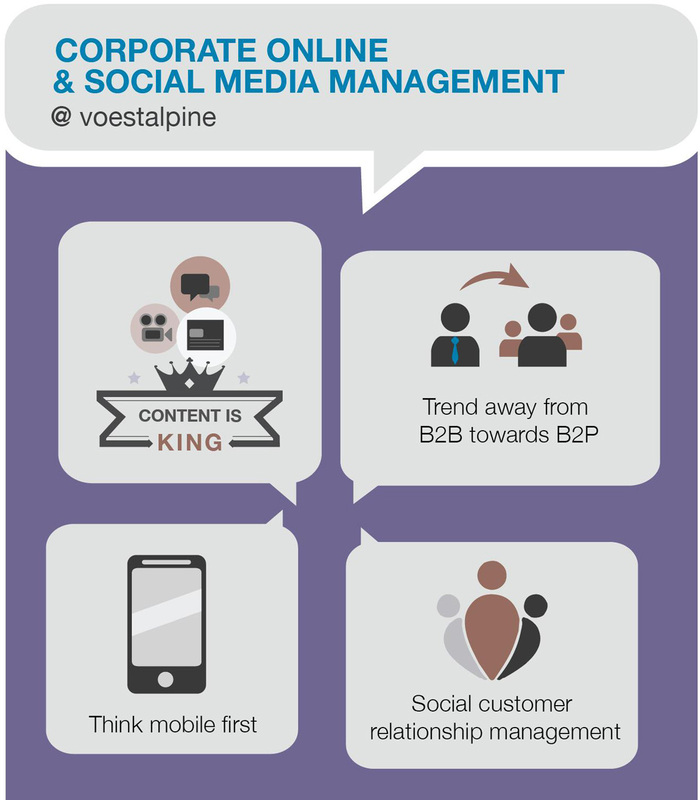 Why is a B2B company such as voestalpine involved in social media? voestalpine is an industrial enterprise, and thus intrinsically a traditional B2B company. But if we look more carefully, the term B2B, or ‘Business to Business’, is always about people. And this is exactly what the social web is all about. Therefore, as a B2B company, voestalpine no longer speaks of B2B, but rather B2P – i.e. Business to People. It is not our primary goal to sell more products via social media. Instead, we want to make the topics and stories about the company more tangible, and to reach out to further target groups. Each platform attracts a different target group. Therefore, the content is individually prepared for each target group and platform. The strategy is to reach the right target group, with the right content, on the right channels. 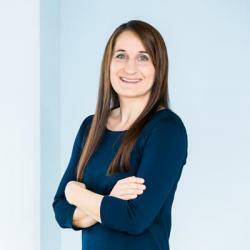 "The most important success factors at voestalpine are, above all, a dedicated team and the company’s commitment to use social media as a key communication instrument. " 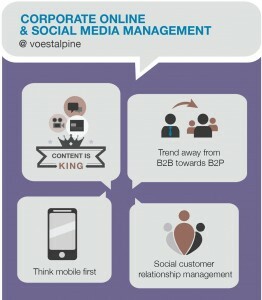 All interesting facts and figures about ‘Social Media @ voestalpine’ have been visually presented in an infographic. For example, 650 social media content articles are published each year, the equivalent to around 65 printed magazines. The corporate blog receives around 250,000 hits each year – three times more than visitors to Formula 1 races in Austria.